Thank you for your donation. The amount of your donation is up to you. All gifts are sincerely appreciated. 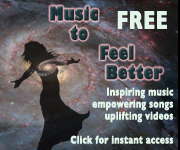 Your contribution allows me to continue making available personal development ideas and uplifting music to as many people as possible through this website, for the good of the whole. Your generosity makes a difference.